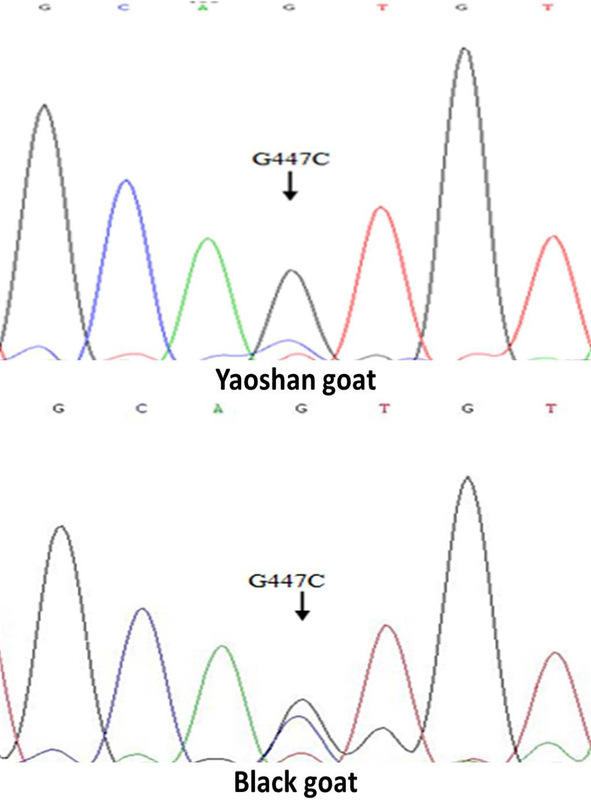 Agarose detection of GHRL-2 (A) and GHRL-6 (B) genes in goats. Lane M, makers D2000; Lanes, 1, 2 and 3, GHRL-2 genes; Lanes 4, 5 and 6, GHRL-6 genes in Yaoshan goat, Black goat and Black goat, respectively. G447C loci of the GHRL-2 gene of the same goat. T498C loci and C105T loci of the GHRL-6 gene of the same goat. 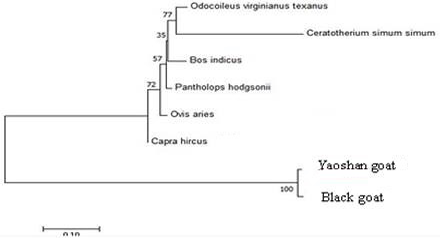 Phylogenetic tree of the GHRL gene of different species.